Intravenous (IV) therapy is a modern solution for enhancing nutrition, health, and vitality. This revolutionary treatment is highly useful for addressing fatigue, a lack of mental clarity, low libido, the effects of aging, and many other areas of concern related to nutrition. What is Intravenous (IV) Therapy? 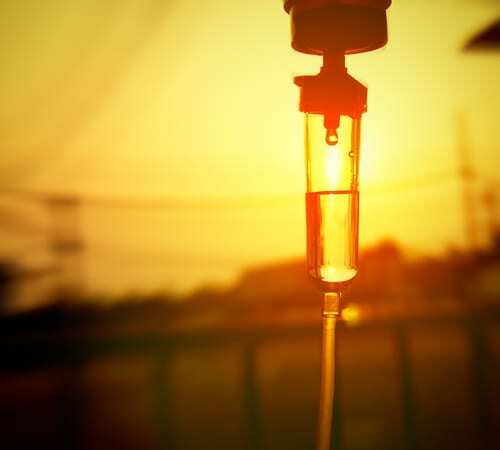 Intravenous (IV) therapy involves the use of a traditional IV drip to infuse minerals, vitamins, amino acids, antioxidants, and medications into the bloodstream. The treatment is an excellent option for people who deal with stress, the need for high-energy performance, and anyone who needs a little boost in their life. Some people with blood disorders may not be able to use intravenous therapy. What is in Intravenous Therapy? Intravenous therapy can yield noticeable results for most patients in 12 to 24 hours. The results often last from 5 to 8 days based on your physiology. IV therapies are tolerated well by most patients and have minimal side effects. Intravenous therapy can be performed in one office visit or over several appointments for maximized results. If you are looking for a customizable way to enhance your vitality, then consider intravenous (IV) therapy. The results can be instrumental in your future success. Call the Hochstein Medspa at 786-802-6699 to schedule your appointment.